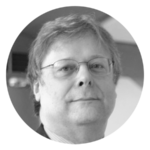 Paul Leeson is a medicinal chemist with >35 years’ experience of drug discovery and development in senior roles in several major pharmaceutical companies. While at Smith Kline and French, Merck Sharp and Dohme, Wyeth (USA), AstraZeneca, and GlaxoSmithKline, Paul contributed to numerous projects in the cardiovascular, neuroscience, respiratory and inflammation therapy areas. His drug discovery contributions are documented in >160 publications and patents. Paul has given >60 invited presentations at national and international conferences. At AstraZeneca (1997-2011), Paul was head of medicinal chemistry at the Charnwood site, where his Department invented >40 candidate drugs, with one marketed. From 2002-9 he led AstraZeneca’s Global Chemistry Forum, which managed global activities in discovery and early process chemistry, and implemented improved practices in hit-to-lead, lead optimisation, prediction, synthesis and outsourced chemistry. Since 2014 Paul has advised medium and large pharmaceutical companies, start-ups, and academia. He has a special interest in compound quality, which was recognised in 2014 by the receipt of the Nauta Award from the European Federation of Medicinal Chemistry (EFMC). Paul has a PhD from the University of Cambridge and is a Fellow of the Royal Society of Chemistry (FRSC) and a member of the American Chemical Society (ACS). Since 2015 he is Honorary Professor of Medicinal Chemistry at the School of Pharmacy, University of Nottingham.